There is no debating the fact that CBD oil has medical benefits, as there are millions of people utilizing hemp oil daily to combat their illnesses. 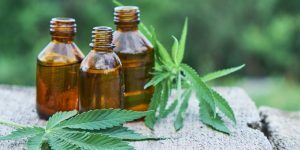 CBD products are extremely successful when it comes to treating seizures and a host of other illnesses that are currently treated by modern medicine. One of the greatest aspects of utilizing CBD water and hemp water, as well as oil and edibles, is the fact that there are almost zero negative side effects. Tons of people use prescription medication to treat things such as anxiety and insomnia. These prescription drugs that were intended to create relief often times lead to extremely serious addictions. Adding to the potential for addiction is increased symptoms after ceasing the prescription medication. All of which can be avoided when utilizing CBD, as there are virtually no side effects. CBD does not cause any detriment to the liver, nor has there ever been a single death associated with ingesting CBD in general. While cannabis has had a lengthy road to legality, the new 2018 Farm Bill has CBD enthusiasts very excited. The bill will essentially allow for the growth and production of hemp products, with CBD being included in the bill. The bill would turn the lawmaking over to individual states, who would be able to enact their own laws regarding cannabis individually. Taking the federal aspect out of cannabis is absolutely massive for anyone looking to gain relief for their illnesses, as many people will no longer have to travel to different states to get their medicine.